In previous posts where we’ve looked at data from 8a.nu it’s always been from climbers in the top 100 rankings (female/sport/boulder). This gives us a nice snapshot of ‘elite’ climbers, but what about the rest of the climbers on the site? We’re starting to look at more users, and as a little teaser we’ve put together this little overview for you. Enjoy! 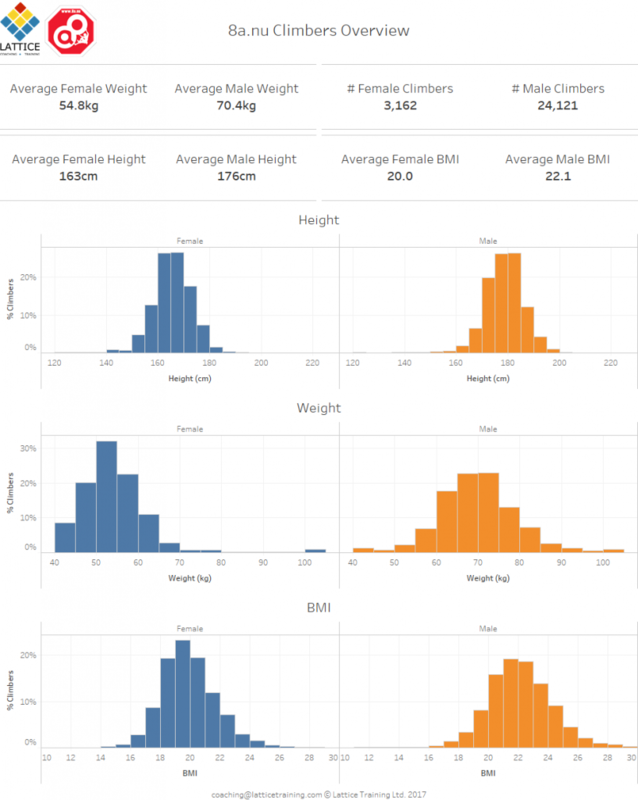 Note: There are actually a lot more climbers in the database (62593 to be exact) but many of them don’t have height and weight data included, so for consistency in the below summary I’ve included only climbers who have both a height and a weight associated with their profile.